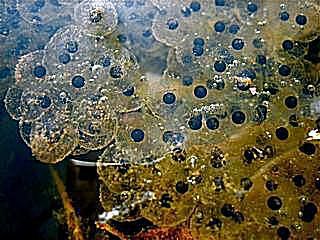 Frogs undergo a remarkable transformation from egg to tadpole to frog. When you think about the difference in form between a tadpole and a frog, this transformation (called metamorphosis) is quite astounding. Once of our readers, Kristie, has kindly consented to share photos of tadpoles she is raising so we can all see some of the stages along this transformation.